When they were small they would play hide and seek. Her shadow was very good at hiding. She could slip down cracks in the floorboard or merge with another shadow in the room. When on quests to find sweets, Eliza would send her shadow ahead to see if there was anyone coming. Fortunately, only Eliza could see her shadow doing these things. Her shadow was invisible to other people – unless of course, her shadow was doing what normal shadows do. 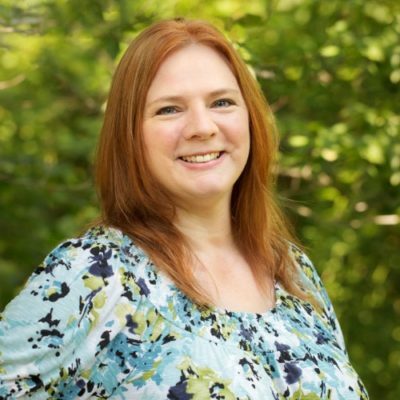 Eliza spent her youth moving from home to home and from family to family. She grew up to be a magical girl and, with the help of her shadow, she could do wondrous things. As soon as she was old enough, they set out into the world looking for her real family. They would visit big cities and small hamlets, staying long enough to make things better for those whose paths they crossed. They would watch over each other on their many journeys. Like best friends, they were inseparable and together they were a team. Really, they were one and the same. And so, it was the village of Blossom Brook that was to become home for Eliza Bluebell and her shadow. But just for a while. 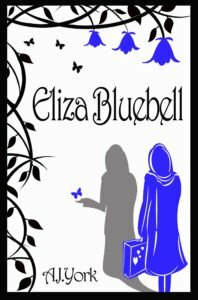 I received an ecopy of Eliza Bluebell free for an honest review. Eliza Bluebell is an adorable story that your children are going to love! It is magical and wonderful! Once in a great while, there is a book that I am asked to read that I end up gushing over. This is one of those books! Not to take away from the other books I’ve reviewed, but this one just has something in it that makes me want to really gush. It is the type of book I would have loved to have read as child. I read a lot as a child…okay, I still read a lot. My favorite books had fun characters and sweet story lines. Eliza Bluebell is one of my new favorite characters. I rank it up there with another of my favorite children’s books that I have reviewed, From the Magical Mind of Mindy Munson. Books like this expand your child’s imagination. The characters in this story will really get into your heart. The way that Eliza’s magic works in the lives of these characters will make you smile! Eliza Bluebell would be a great book for you to read to your younger children and a perfect book for your older elementary or middle grade aged children to read themselves. It is not too long and the chapters are short and easy to read. There are not too many illustrations, but this just adds to the imaginative quality of this story. Seriously, I loved this story and highly recommend it! Go buy it! You’ll thank me! At 99 cents you can’t go wrong! And if you have Kindle Unlimited, it’s free for you to read! Read the Delilah Dusticle books also by A.J. York! I think my daughter who is an avid reader would like this! Siounds like a fun book to read for kids. She would be in love with it!! This sounds like a really sweet story. It’s really good to hear that Eliza is one of your new favorite characters! Yes, it is so sweet! This sounds like a book that my daughter would love to read. I am always trying to find new books to keep her mind active. If she’s in that age group, definitely get her a copy. It’s adorable! This sounds like something definitely out of the norm in regards to genre. Thanks for such a detailed review. It really is! It is so sweet and cute! This sounds like a great story. My nieces would love this. I have to get this for them. Yes, please do! They’ll love it! I have a niece this would be great for. Stocking stuffer idea. This sounds like a really fun book that my cousin would love to read. I’m going to look into getting her a copy. Definitely share it with her! It will leave her smiling. What a great review! I have nieces who love to read and think this book would be perfect and interesting for them! I love when books can expand one’s imagination too! I do too! I think your nieces would love this! This looks like such a cute book and your review is amazing. It sounds like it’s one of those books that really speaks to you and I’ll have to check it out! It is! It’s just magical. This does indeed sound like a really cute book for kids. I love the concept of her shadow being her best friend. My niece would love this book and so would my nephew. Thanks so much for sharing. They would! It is adorable! Sounds like a great book for kids. I miss having young kids around to read with and to. Awww this sounds like such a lovely book. I have a cosine who would be all about reading something like this! And your daughter for when she is older! This seems like such a magical book! Thanks for sharing. I’m adding it to my list of things to read! I think my oldest would like this book. It sounds like a great read. This looks adorable. My kiddos are too young for this but I think my nephews would love it. I love sharing new books with them. Wish I had a ton of money so I can buy lots of copies of this book to donate to a school or public library. Children nowadays need to go back to reading! I so agree! They need their imaginations sparked. It’s important to encourage kids to read at a young age so they can develop an appreciation for books as they grow up. With a book like this, it would be easier to make kids interested with reading. Yes, they really need good books to make them love reading. Oooo this sounds like a fantastic book! I will have to check it out! Your little girl will love it when she is a bit older. that sounds like a really interseting book. I’ll have to check it out soon. thanks for sharing.